The critique of hypocrisy did not begin with Trump, but it has been fueled by his campaign and presidency. 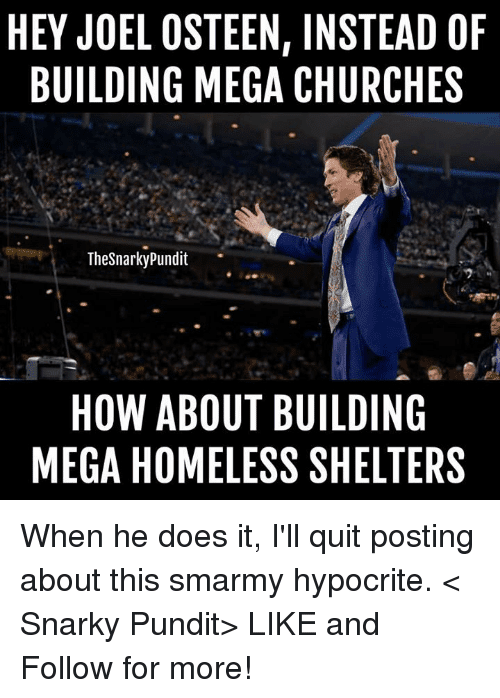 It is hard not to see signs of hypocrisy everywhere, in the leaders of the evangelical community who have rallied behind a philanderer who has admitted sexual abuse; in generals who have stood behind the tough guy rhetoric of a draft dodger whose idea of discipline is getting seconds on dessert; and even in so-called business leaders who kowtow to a man who has gone bankrupt six times running a casino (you know, where the house always wins). As much as Trump represents the culmination of hypocrisy critique he also represents its limit. None of these critiques have stuck. The logical formula of the critique of hypocrisy, as pointed out by Adam Kotsko, is to hold someone to an unstated element of the doctrine or belief that they claim to hold. This can be a matter of reminding supporters of open carry that the Second Amendment is not the only one (and is not even the first one) or of pointing out to Christian opponents to gay marriage that there is more to Christianity than a retrograde sexual morality. The flaw is in believing that people must necessarily believe one to believe the other. It overlooks the extent to which people have constructed their own interpretation of the text or tradition in question. Sometimes this other interpretation is explicit. 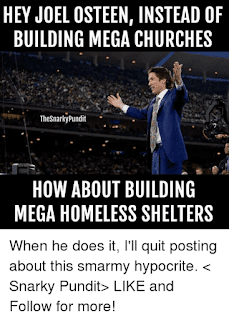 Such was the case with Joel Osteen who came under criticism for refusing to open his megachurch to displaced people in Houston. Such an action is only hypocritical under an idealized version of christianity, but it is quite complicit with Ostend's prosperity gospel. Other times the other interpretation is more implicit. The philosophy that attaches a great deal importance to the second amendment (albeit selectively) than to the first, or, for that matter that sees the first threatened only in particular situations, may not utter its name, but is nonetheless consistent in its own way. Rather than critique people in the name of an ideal or interpretation that they do not actually hold it seems more productive to examine what they actually think, even if it is for the most part unstated. It is the latter that seems to me the most important. Rather than assume, as is often the case with hypocrisy critique, that one's political opponent is a bad Christian, a poor reader of the Bill of Rights, or whatever the case may be, it is more important to look for the consistencies, even those consistencies are not immediately apparent and appear at first as contradictions. What I am proposing is a symptomatic reading of sorts. Symptomatic reading is described by Althusser as a reading that "divulges the undivulged even in the text that it reads, and in the same movement relates it to a different text, present as a necessary absence in the first." For our purpose here we can take a more stripped down explantation that a symptomatic reading looks for questions without answers and conclusions without premises. It confronts the moments in political argument where the topic under discussions seems to shift, where a statement about one issue are interpreted to be about something else entirely. To take two recent examples. One response to "Black Lives Matter" has been to reply "Blue Lives Matter," to even go so far as to propose that violence against cops count as hate crimes. Some would argue that this is a strange response, and would go so far to argue that Black Lives Matter is not opposed to police or policing, only advocating reform. This is the logic of the calls for body cameras and the Rockwellian fantasy of the good old days of friendly cops at soda fountains. I would argue, however, that it might be more useful to ask what it is about the claim that "black lives matter" that makes it an affront to policing itself. I am reminded of what Walter Benjamin writes about the response to criticism of the death penalty. Benjamin writes, "The opponents of these critics felt, perhaps without knowing why and probably involuntarily, that an attack on capital punishment assails, not legal measure, not laws, but law itself in its origin. "A similar kind of metonymy is at work here, in which one aspect of the law, or its enforcement, stands in for the law itself. Only now it is not the death penalty at least not in its legally sanctified form that is under assault, but the summary execution of people who have done nothing but sell loose cigarettes, allegedly shoplift, or walk in the wrong neighborhood. Or, to take another example, there is no point in pointing out the hypocrisy in people freaking out disrespecting the flag during the national anthem at NFL games while simultaneously wearing stars and stripes underwear. 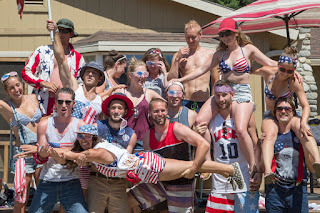 They are not confused about the baroque guidelines of the flag code, but are quite clear, albeit in an unconscious way about the unstated code of the racial order. 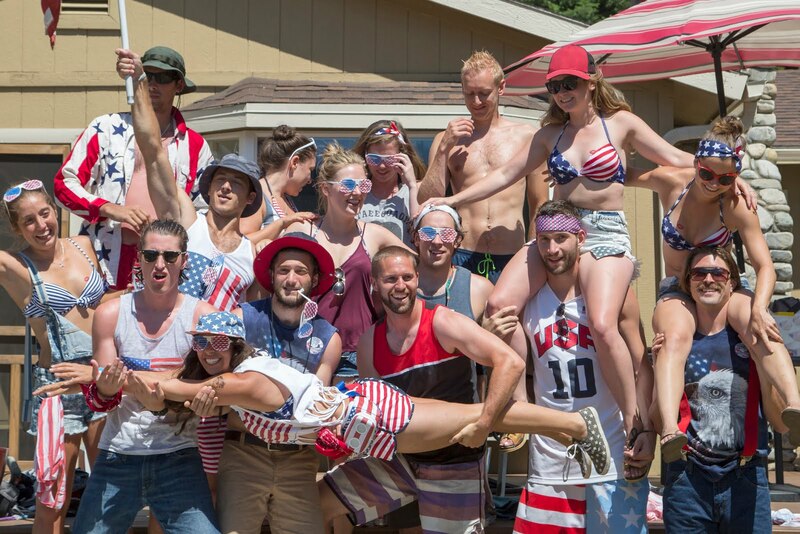 As much as it might seem tempting to point out that Colin Kapaernick and other are not protesting the flag, and restore the original intention of the protest, the misreading has to be taken seriously as a symptom. Two quick and preliminary conclusions. First, both of my examples concern race. It does often seem like race is the unstated premise of otherwise contradictory statements and opinions, and it might even be possible to argue for something like a racist unconscious, especially in the sense that the unconscious does not bother with contradictions. Many of the contradictory or hypocritical statements that permeate political life, such as open carry advocates remaining silent when a black man is shot after informing a police officer that he has a gun and a permit, can be explained by racism. To return to the Althusser quote above, racism is that silent other text underneath the arguments about respecting the flag or freedom of speech. That is something that would have to be explored in more detail elsewhere. Second, the advantage to hypocrisy critique is that one at least takes their opponent at their word, at what they claim to be, pointing out that they are not a good christian or reader of the bill of rights. Symptomatic critique is not so polite, arguing that people are in the grips of a different set of beliefs than they would consciously claim. 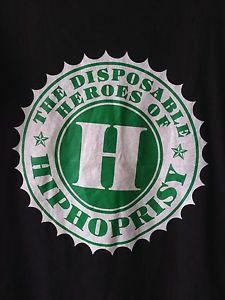 I had trouble coming up with a good graphic for this, so I decided to borrow The Disposable Heroes of Hiphoprisy (who I remember seeing in college). They can play us out.